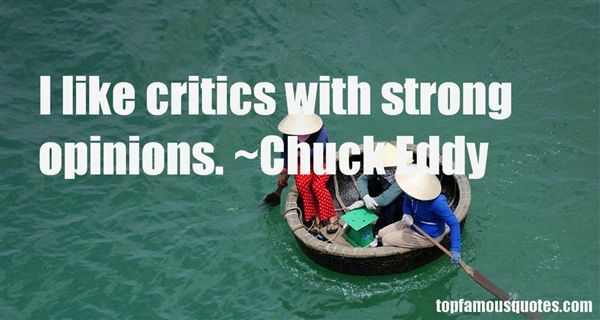 Reading and share top 10 Chuck Eddy famous quotes and sayings. 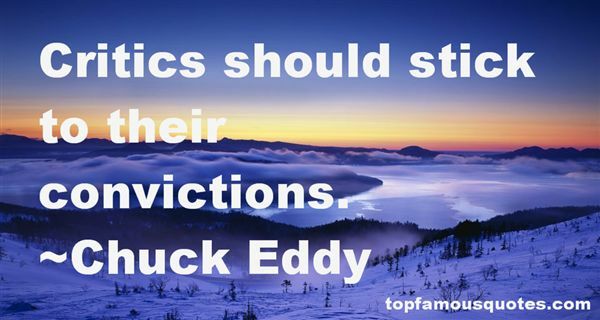 Browse top 10 most favorite famous quotes and sayings by Chuck Eddy. Morpheus places his hand on Jeb's busy fingers, eyes opened to slits. "Ah, my pretty pseudo elf." He takes labored breath. "is it time at last to express our unrequited feelings?" 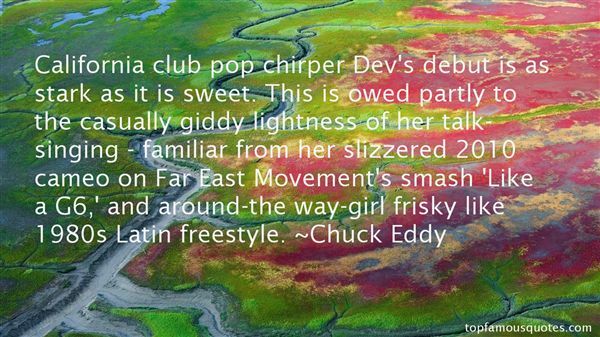 What Did Chuck Eddy Talk About?